Sunset Point in Agumbe (Kannada: ಆಗುಂಬೆ) is a small village located in Shimoga district, Thirthahalli taluk in the Malnad region of Karnataka, India. It is sometimes called "The Cherrapunji of the South" after Cherrapunji, in Northeast India. Agumbe is associated with rainforest conservation efforts, documentation of medicinal plants, tourism (trekking and photography), and promotion of cottage industry. Naxal communists are active in Agumbe and surrounds. 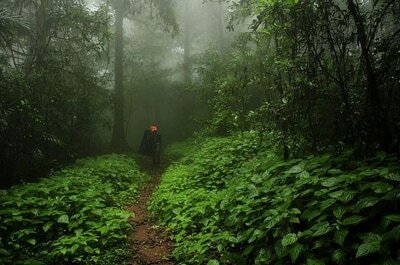 Agumbe lies in the West coastal region of South India(Shimoga District), approximately 100 km north-east of Mangalore and 357 km north-west of Bangalore, the state capital of Karnataka in South India. It is approximately 24 km from Shringeri and 55 km from the Arabian Sea and the coast of India at Udupi city which hosts the nearest big railway station. The nearest airport to Agumbe is at Mangalore which lies at a distance of approximately 100 km. The elevation of Agumbe is 643m. 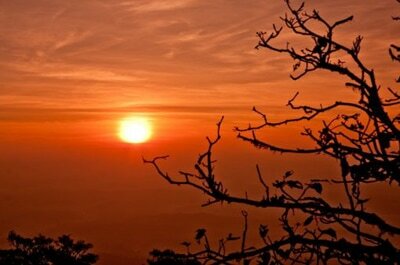 As part of the Western Ghats mountain range, Agumbe lies in a UNESCO World Heritage Site. Agumbe is near the Someshwara Wildlife Sanctuary and the Kudremukh National Park. Traffic was thrown open on the Agumbe Ghat road connecting Udupi and Shivamogga districts in the evening of December 31. The ghat road was closed on December 1 for repair works. B.S. Balakrishna, Superintendent Engineer, Public Works Department (PWD), Shivamogga district, told The Hindu on Sunday that under the repair works, removal of highly damaged rigid pavement, filling of potholes, construction of roadside drains and guard walls was taken up on a 2.4-km badly damaged stretch coming under Shivamogga district. 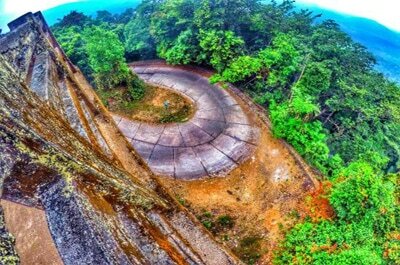 Actually, the Agumbe Ghat road is now a part of Malpe-Tirthahalli National Highway 169A. But the repair works were taken up under the funds sanctioned earlier to the PWD. Jogigundi Falls like most of the falls in and around Agumbe is situated amidst the dense forests of the Western Ghats of Karnataka. But, this is your slightly different waterfall. Unlike your traditional waterfall that falls from a height or in multiple tiers, this one flows out of a cave that runs through the hill. 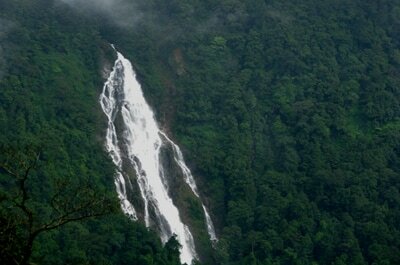 Barkana Falls is one of the ten highest waterfalls in India. The waterfall is located in Balehalli forest area, at a distance of about 7 km from the Agumbe village in Shimoga district of Karnataka. The waterfall has a height of about 850 ft. It is located at a height of about 259 metres above sea level. 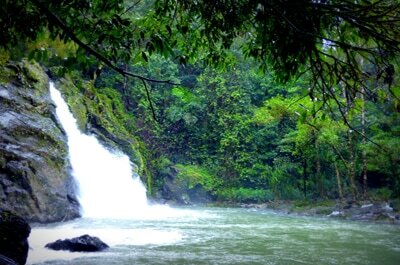 It originates from the Seeta River that flows through this region. Barkana Falls is one of the prime sources of hydroelectricity in Karnataka as the water is used to power a hydroelectric system.